Every equinox, the spirit of Kukulkan, the Mesoamerican plumed serpent deity, slithers down the side of Chichen Itza’s famous El Castillo step-pyramid. Near sunset, the steps create a series of triangular shadows that resemble a row of scales running down the middle of a dragon’s back. As the sun retreats, these scales of light and shadow seemingly move from the top of the pyramid to the bottom, resting at the sculpture of Kukulkan’s head. 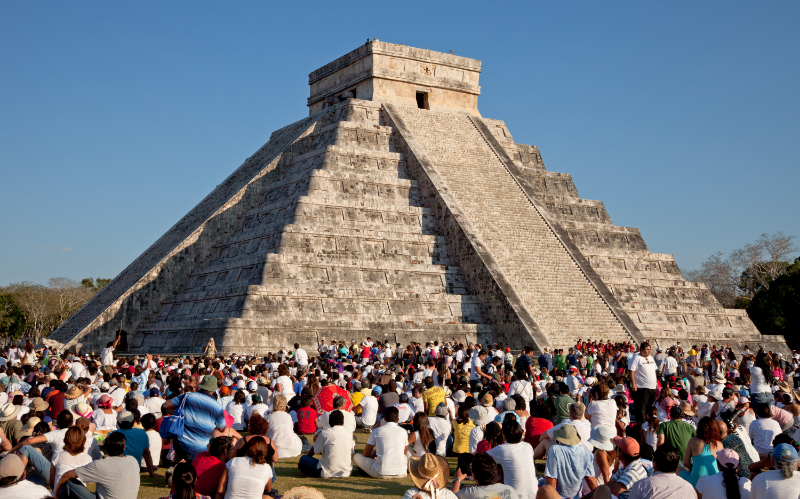 Taking a Chichen Itza tour around this time will ensure you’re at one of the best places to visit during the equinox. 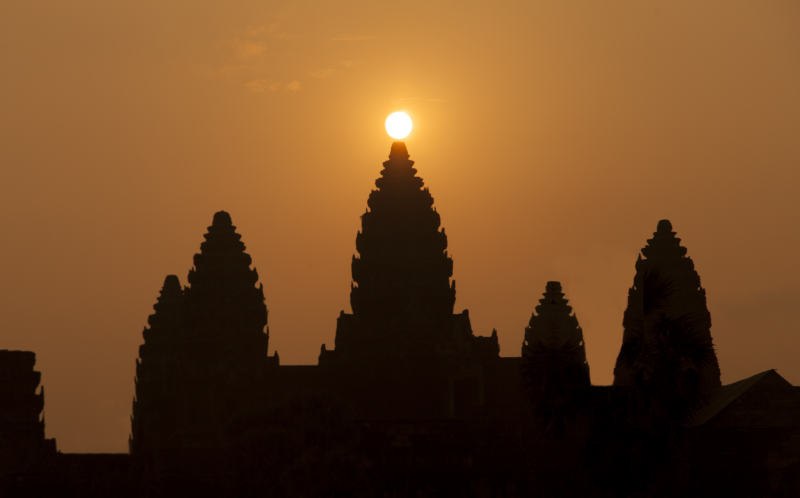 If you can get up early enough, Angkor Wat will treat you to a truly celestial experience during the equinox. Just after dawn, you’ll notice that the morning sun aligns rather perfectly with the temple’s main tower. Hovering just above the tip of a structure designed to resemble a lotus bud, the sun shines its life-giving light on Angkor Wat and the rest of Cambodia. Let’s just say there are plenty of worse places to visit during the equinox. So, try to take an Angkor Wat tour this spring for a dazzling display! As perhaps the most obvious place to go during an equinox, Stonehenge is also one of the most accessible. Less than a 2-hour drive from London, Stonehenge serves as the quintessential example of ancient celestial timekeeping. And, most Stonehenge tours will take you right up to standing stones. 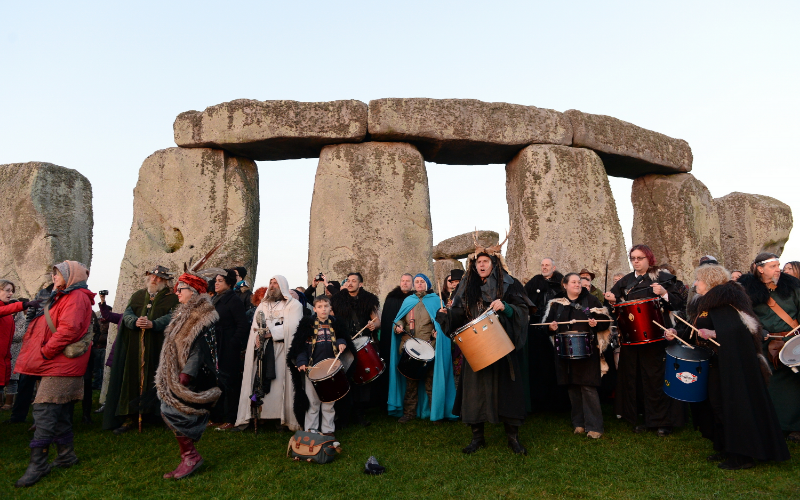 Plus, the equinox represents one of the best times to visit Stonehenge because the druids will perform their mysterious rituals. And, nothing says “party” like a bunch of druids blowing horns and banging drums. If you can make the trek, Machu Picchu delivers a totally different take on the equinox. Rather than using shadow play or fitting the sun into a stone portal, Machu Picchu emphasizes something completely different. 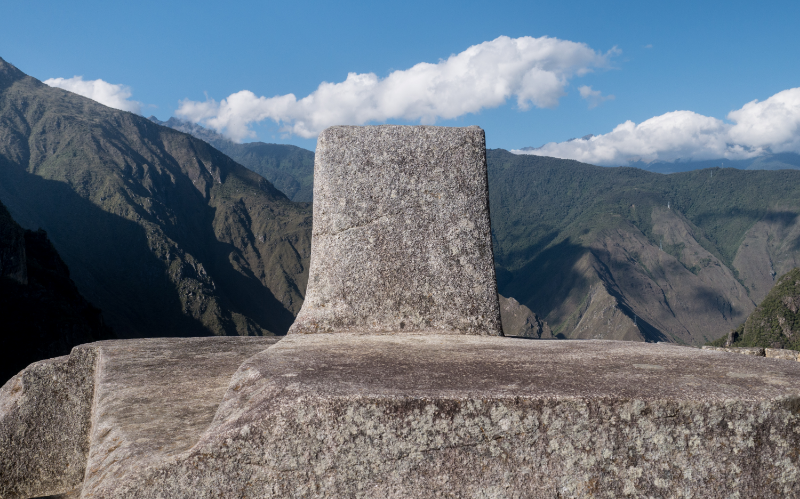 The so-called Intihuatana, or “place where the sun gets tied”, is strategically located to cast no shadow during an equinox. 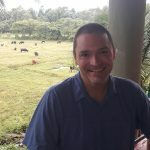 Many myths have been thrown around regarding the power of the Intihuatana to grant visions, good harvests, and a host of other blessings. Check it out for yourself during a Machu Picchu tour and see if any good juju rubs off on you. One of these things is not like the other. 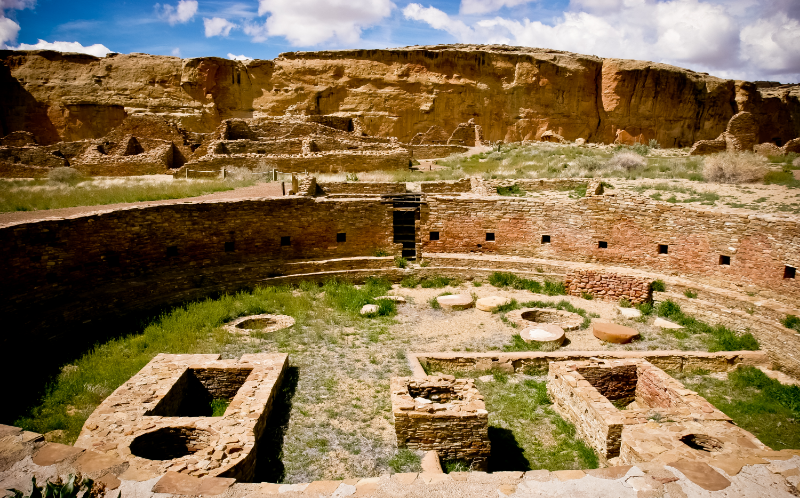 Whereas the previous 4 historical attractions receive worldwide acclaim, Chaco Canyon represents the unsung hero of the equinox. If you show up at the right time, Chaco Canyon plays a whole host of tricks with the sunlight. But, the most popular feature is the beautiful Sun Dagger. Thanks to the careful carving of the original inhabitants, you can get a glimpse of a shining dagger of light piercing through an ancient spiral hewn in stone. At one point in time, it probably stood as the best show in town. Hey you! Have you ever been anywhere extra special during an equinox? Let us know in the comments and we’ll add it to the list during our next update! 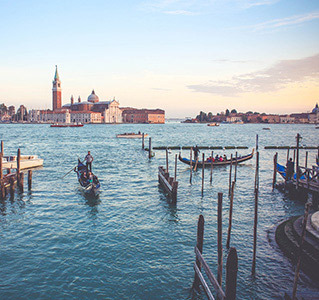 Next Next post: Can You Go Travelling With Just One Suitcase?